LaDawn Therapeutic Riding Center is having our annual Halloween fundraising event. Horses dressed as Halloween characters will provide pony rides along our spookily decorated trail. This year it will take place on October 13th and 20th. Along the trail will be candy stations for the participants, where they will pick up goodie bags during their ride LaDawn is seeking individuals or businesses to sponsor each station. The cost is $100 per station. As part of your sponsorship, we are looking for signage and promotional items from your business to place in the goodie bags at your station. We will be making 200 bags. Most of our riders are young, and always bring two or more adults with them, who also walk the trail and will see your message. Because of the volunteer nature of our program we are asking that you provide promotional items by October 6th, so we may put the bags together. 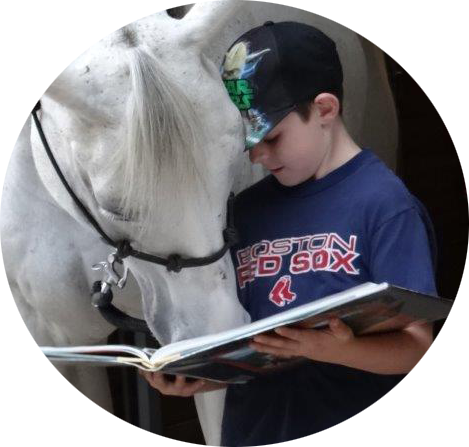 We thank you in advance for supporting the riders, horses and volunteers who keep LaDawn active in this community.